Well this is really interesting, because if these results are to be believed that everything we think we know about Sonic, including Sega’s own market data is completely wrong. YouGov recently ran a poll to see which was the top 16 favourite video-games of the British public, coming in at number 1 was Candy Crush (no surprise there),with GTA coming in at number 2. Sonic manages to get on the table at number 13. Sonic is more popular with the ladies. This is, really unexpected, for the following reason, Sega still markets and promotes Sonic as a ‘boys’ franchise. Even when Boom was announced, Sega’s own marketing material had boys as being the primary demographic for Sonic with girls as a secondary. 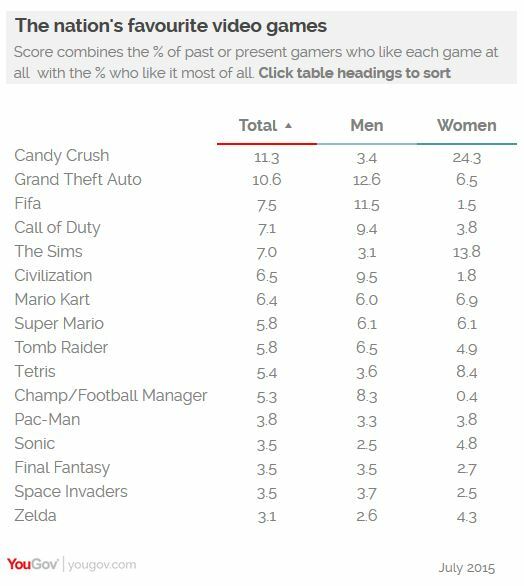 Yet this poll shows that Sonic is nearly twice as popular with women over men. However, there is one consideration to take with this. The poll doesn’t register the views of anyone aged under 16. Which is Sonic’s primary demographic. 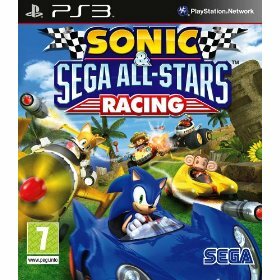 There is this huge lie which does the round a lot, that being, Sonic sells best on Nintendo? Erm no… Sonic sells best where the kids are. Which this poll doesn’t recognise, where-ever the kids are, that’s where you’ll find Sonic’s biggest sales. But this is really interesting, since if it really is an accurate reflection of views worldwide it changes a lot of what was considered Sonic’s primary target demographics. Lets speculate for a moment that both this poll and Sega is correct and Sonic is more popular with boys (males aged under 16), after the age of 18, Sonic’s primary gender demographic shifts over to women. This isn’t the natural assumption to make for a character like Sonic, especially since there is little active female representation within the series (generally speaking), there is much more appeal to males. Or.. and there is no way to independently verify this, Sonic actually has more appeal to girls than boys at all ages. The full results of the YouGov poll can be found on their website, as well as what was the better console, the MegaDrive or the Super Nintendo, and who was a better character, Mario or Sonic… I’ll let you look that one up yourself. In a recent poll, IGN asked readers to vote for their most overrated video game characters and the top 10 results are now in. As you can see IGN reader votes placed Sonic as the 3rd most overrated video game character, the only two they consider more overrated than Sonic are Lara Croft and Master Chief which is already causing a stir in the Xbox community but should the Sonic community take this in an equally immature manner? Well no, this is a gaming press sites poll like any other to be taken with a grain of salt. Everyone has opinions and their own different tastes in gaming, what one person likes doesn’t mean another person will like it whether it is a good or bad game. This poll has allowed people to vote on a wide range of characters from various different genre’s too so the vote was always going to be messy and end up with some of the most popular characters ever included in this list. Some people will no doubt give this list some credibility but that’s their opinion and viewpoint. Yes Sonic has had a rough time for a few years now games wise but I really believe that the gameplay of the Sonic stages in Sonic Unleashed was a big step in the right direction. Now what are your views on this? 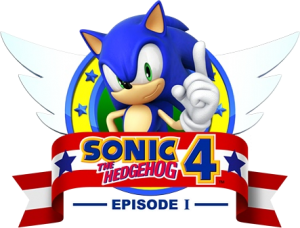 Do you think Sonic deserves his spot in 3rd place? Do you think people should listen to it or just shake it off and ignore it? Thanks to Flamerstreak over at his SSMB topic for the info. Those who are on Facebook, but are not friends of Sonic should visit this link and “become a fan.” Not only will you get updates about Sonic from SEGA themselves, but you can vote in the poll above and chat with even more Sonic fans. As for my opinion on the choices, horror could be the well along the lines of “Scooby Doo Meets Addams Family” from the old Scooby-Doo Movies or a playable version of a game with “Night of the Werehog” vibes. Film Noir would be all kinds of odd, in my opinion, as it’s not really a “setting,” but rather, a style of filmmaking that does not lend itself to action. Picturing Sonic and friends as the cast of The Big Sleep would certainly melt my brain. Western would be a fun setting to bounce about. Although, it probably comes with a six-shooter, so that choice is also a hesitant one. Sci-Fi and Greek Myths are fantasy settings, so like the two games that came before them, are more appropriate for the next Storybook game. That sutibleness is probably a good indication as to why they are the top two choices in the poll at this time. I can see it now: play Sonic as Gilgamesh and Shadow as Enkidu and try to take down the nasty Humbaba. The best part about the story of Gilgamesh is that Shadow, as Enkidu, dies. I’d pay to see that one. That’s my two cents. We want to hear your takes on each of these settings! Sound off in the comment box.